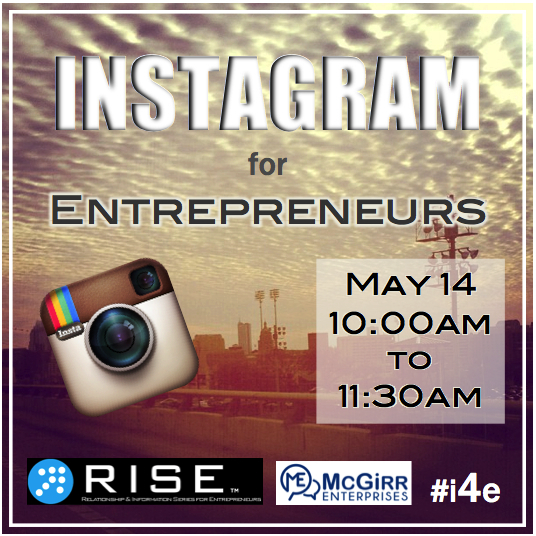 We are very excited to announce that Joey will be hosting a RISE session on May 14th. Bring your smart phone and a comfortable outfit. We will be out and about in this interactive workshop. First, you will learn what Instagram is and how other businesses are using it to brand, market and build a following of raving fans. Then we’ll put it all in action. You will be given an assignment and challenged to capture the world around you in real time in various locations around downtown Austin. After we regroup, we will assess your understanding, what you accomplished and compare notes. This entry was posted in Communicating, Connecting, networking, Social Media and tagged Instagram, RISE, training, workshop. Bookmark the permalink.